Perception Pescador 12 Pro Kayak gives kayakers a serious chance to shine. A striking angler kayak that maneuvers well on rivers and lakes, it offers removable stadium-style seating and a recessed accessory track molded into the boat. This 12-foot Pescador Kayak is built for performance-driven fishing on rivers and inland lakes. It can also be used for leisure and recreational purposes, but anglers will get the most use out of it. 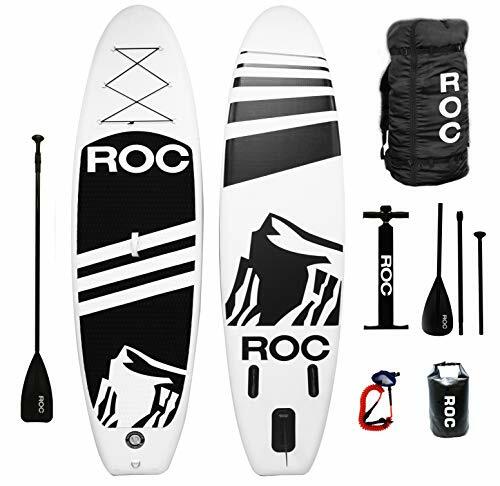 The Pescador 12 is made of high-grade polyethylene plastic with the one-piece construction that makes Pescador kayaks one of the most trusted names in the industry. Perception is one of the pioneers in plastic kayaks, and the Pescador 12 kayak has been constructed with differing thicknesses in each part of the boat. This process adds strength where it’s needed, but avoids tacking on unnecessary weight. There’s not a lot of area for storage, but you can easily take advantage of the available space. The molded cup and rod holders give you enough room for your equipment and favorite beverage, but since they’re built into the kayak, you don’t have the luxury of moving them around at will. Put a plastic storage container in a recessed spot in front of the seat to keep valuables, lures or your lunch safe and dry. You can also use the console area, which was designed to store fish finder batteries, to store items. However, the console area isn’t waterproof. The Pescador, like other Perception products, are made in the U.S.A.
With its blend of speed and steadiness, this boat inspires confidence in users of all skill levels. This Pescador kayak provides stability and excellent tracking, which is helpful for beginners who may be a little nervous when taking their first solo fishing trip. This kayak weighs 57.9 pounds. Two people can carry it easily, or one person can drag it from place to place. Despite weighing more than an average kayak, it handles well. It has excellent maneuverability when going slowly (backward or forward), and manages choppy waters well. This 12-foot kayak maneuvers well on rivers, ponds, inshore and on bays. Wherever you fish, the Pescador will give you good results, although strong cross-currents will require careful steering on your part. A stable kayak consists of more than a good record of tracking and movement. The storage, accessories and safety features help ensure you can easily maneuver this Perception kayak. The efficient hull design reduces wind push, but the kayak can still float in four or five inches of water. The Perception Pescador 12 angler is durable enough to hold up to 375 pounds. It has a Stern five-inch deck plate, bow tankwell with rear cover, and rear tankwell. The Keepers Foot Brace system assures that you’ll be able to stay put and maneuver regardless of the weather or water conditions. The skid plate protects the keel from damage during low water crossings and transportation. You can easily replace the plastic skid plate if it breaks. This kayak also comes with a paddle park so that you can bring an extra paddle. Keep your second paddle securely fastened to the park, or clip, so you can grab it during rough waters from where you are sitting. You want your second paddle easily within reach if you lose your first paddle due to choppy waters. Use this kayak if you’re an avid angler who wants a no-hassle boat with adequate storage. Manufactured to exacting specifications using durable rotomolded plastic, water rarely gets in the hull even after intense use. Recyclable and easy to repair, this 12-foot kayak can be modified to make it more user-friendly. You can also use the Pescador for recreation thought it was designed as a fishing boat. Some of the kayak’s features will go unused in that capacity, so you should buy the Pescador if fishing will be its primary function. The storage space for lures, rods and other gear is compact but excellent. You can even use the tankwell to store live bait with some modification. The Perception Pescador comes with a YakAttack Gear Trac so you can mount accessories with ease. It has topside installation and stays sturdy even in the harshest waters. It can hit rocks and sustain only a few scratches. You can use this kayak for angling anywhere, and the components will last, as the source material is sturdy. Manufactured with care and high-quality assurance by Perception, a company with over 40 years in the kayak business, this Pescador Pro is built to last. The Stern five-inch deck plate screws in to provide a water-resistant hatch lid, and the foot peg and rail system is made of plastic but can withstand regular use. Don’t let terms like “molded plastic” scare you. This kayak is built for fishing even in the harshest water. Molded storage – The Pescador12 provides accessory track recesses and tackle storage. Sturdy – The one-piece hull resists abrasion, UV rays and protects against harsh impact. It is a rotomolded plastic kayak, like other Perception models. 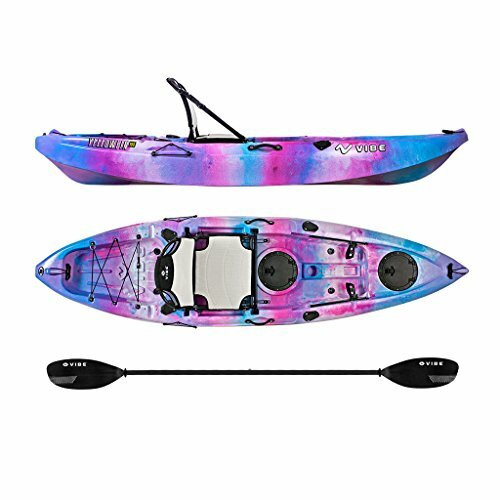 Spacious – This fishing kayak offers plenty of space for kayakers regardless of their weight or height, and the recessed, molded storage compartments minimize the area used for tack and other accessories. Mesh cover – The bow mesh cover keeps items safe during long fishing trips. Ease of movement – It’s easy to turn this 12-foot kayak in any water condition. Stadium style seating – A sit-on kayak recommended by and for beginners, the seating offers excellent up and down movement with adequate back and forth adjustment. Easy to carry – This kayak comes with molded side handles to carry the kayak without developing fatigued hands or cuts. Impressive tracking – The kayak paddles easily on calm or slightly windy days. It moves around a little on windy days but still tracks well. Limited warranty – The warranty covers manufacturer’s defects for one year. When kayaks are sold as “second-quality” items, the warranty covers parts and accessories for one year and the hull for one year. Kayaks must be purchased from an authorized Perception dealer or reseller. The Perception Pescador angler 12′ sit-on kayak looks great in theory, but how do users rate it on Amazon and kayaking sites? Let’s take a look at some user experiences and online reviews. Reviewers say the stadium seating isn’t as comfortable as the full seats on more expensive kayaks, but it’s usually stable and easy to adjust. Users like the high and low seat positions, the adjustable back. The seats are comfortable on your back after fishing all day, according to one reviewer. There’s plenty of legroom, even for tall anglers. The hull thickness ranks right up with the best low-to-mid price kayaks on the market. Reviewers like the storage areas, including the rear well with bungee cords to attach gear or a medium cooler. The large hatch to store dry goods is also a favorite with many users. Some people say they can stand and do cast fishing from this boat, while others find it hard or nearly impossible to stand in the Pescador. Consider your weight, fishing style, and personal preferences before buying if you do a lot of cast fishing or standing in your kayaks. You can sit side-saddle, and it’s roomy enough for any rider. One user states that the kayak you can plug up the scupper holes with separately purchased scupper plugs to stop occasional water collecting in the wells. The storage in the back of the kayak can fit a medium-sized cooler, and molded rod holders have nylon pad eyes to attach rod leashes. The rod holders are too shallow and won’t hold rods steady, according to some reviewers. You can fix this by adding two separate holders with elbows and PVC outside the molded ones. There’s no water seal hatch for bow storage on the Perception Pescador, just the mesh cover, and some reviewers find this to be a liability. While the mesh offers some protection, it’s not as water resistant and durable as a closed cover. Overall, reviewers rate the Pescador as a great angling kayak on all types of water. This Perception 12-foot kayak paddles and tracks well. For anglers who spend a lot of time in different types of water – marshes, inlets, rivers, ponds, etc., this kayak adapts to all sizes and conditions. You won’t need to worry about the Pescador managing in one body of water and not another. Handling this Perception Pescador kayak in cross-currents may be problematic. However, this kayak will get you where you need to go in any weather. It has decent storage, and the YakAttack GearTrak gives you more space to attach accessories. While this kayak can be used for other purposes, it is mainly an angling kayak, designed for outings to catch trout, mackerel, bull sharks, black bass and other fish with as few obstacles as possible. Novice and intermediate anglers will like this boat, though advanced users may want a boat with more storage. While it doesn’t have everything you need built-in, a few low-cost upgrades will turn it into a kayak suitable for all your fishing expeditions.